Do you Need Good Credit to Refinance? If you worried about your credit when you bought your home, you probably think having great credit is a prerequisite to refinance too, right? 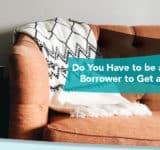 While it certainly doesn’t hurt to have great credit when you want to refinance, it’s not the only way to get the refinance that you need. If you have less than perfect credit, use the following steps to help you get the refinance you need. It’s true that your credit is a large part of your mortgage application, but it’s not the only thing lenders look at. They look at the big picture before they make a decision. Of course, if your credit score is so low that they can’t help you, then they will decline your loan. But if your credit score is decent and you can show that the rest of your application is solid, you may have a fighting chance. Savings on hand – If you have money in a liquid account that you don’t use for everyday spending, lenders may consider the money reserves. In other words, you have the money reserved should you be unable to make your mortgage payments in the future. This can help to offset bad credit. Stable employment/income – Do you change jobs every few months or have you had the same job for many years? 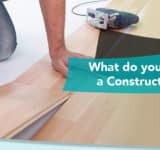 If you’ve had the same job for many years, you may be able to use this as a compensating factor. Stable employment shows the lender that you are consistent and reliable, which for the lender can mean low risk. Low debt ratio – Try eliminating as many debts from your debt ratio as you can before you apply to refinance. The fewer debts you have the more money you have available to make your mortgage payment. Do you currently have an FHA or VA loan that you want to refinance? If you only want to refinance to get a better rate/term and you don’t need cash out of your home’s equity, you may be able to use the streamline loan program. Both the FHA and the VA offer this program for current FHA or VA customers. 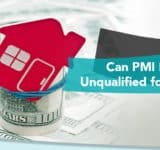 In order to qualify for the program, you must prove that you made your last 12 months of mortgage payments on time. You must also prove that there is a benefit to the refinance. If you can prove these two things, that’s all the lender needs to refinance your loan. These are the only two loan programs where lenders don’t have to pull your credit. They don’t even have to verify the value of your home. The FHA and VA allow lenders to use the original credit score and home value that was used on your original FHA or VA loan. This means that even if you have bad credit, you may be able to refinance. One other way to make sure you can refinance even if you don’t have great credit is to shop around. Each lender has different requirements, even within the same loan programs. For example, the FHA sets minimum guidelines that they require. They then allow FHA approved lenders to add their own requirements to the FHA minimum requirements. Some lenders do and some don’t; those that don’t add to the requirements just use the FHA guidelines to approve loans. If you don’t have great credit, you’ll want to find one of those lenders that don’t have too many overlays or rules. 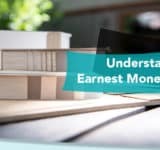 Lenders that follow the minimum guidelines provided by the program and nothing else will give you the best chance at securing the loan that you need. Good credit never hurts anyone’s chances of refinancing, but you may be able to refinance even if you have less than perfect credit. 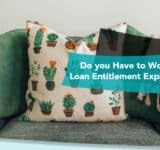 You have to be diligent in your effort to shop around for a mortgage loan and determined to come up with some compensating factors that let lenders know that you are not a high-risk borrower.